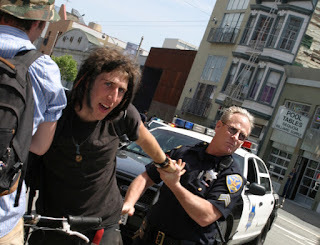 One of the top reasons any of us fight bicycle helmet laws is that they set a foul stage for more anti-bicycling laws. Unfortunately, that is exactly what is happening in New South Wales, Australia with proposed laws that will stop many more people from bicycling and make criminals out of those who do. "You have probably heard about the anti-cyclist New South Wales government and their new laws and higher fines. It's presented as a "trade-off" for a 1 meter passing law, but that makes no sense - if a law is worthwhile then it shouldn't require a bad law to justify it. Making it compulsory for adult riders to carry photo ID at all times. There is no evidence that higher fines or compulsory ID will make anyone safer. There is plenty of evidence it will turn people away from using the bicycle for transport. Sign the Community Run petition, whether you live in NSW or not, it concerns you. Compulsory ID is an idea that needs to be stopped now. By the way, it's not just any photo ID. If you don't have a NSW driver's licence, you must obtain specific cycling ID from a NSW government department before you can ride a bike in NSW. So if you aren't a NSW resident, don't think about visiting - cycling there will be illegal for you. For NSW residents, cycling ID and higher fines are just another barrier to the convenience and ease of using a bicycle to get around. This government has ripped up cycleways in Sydney and is now looking for other ways to make cycling less popular. Overall result? More traffic congestion and higher health bills as exercise levels go down. Until we can wipe overzealous bicycle helmet promotions and bicycle helmet laws from this planet, we are going to have to spend valuable time mopping up the messes they create. But we've got to do it. Please sign the petition and offer your support to these battered bicycle advocates. Thank you! 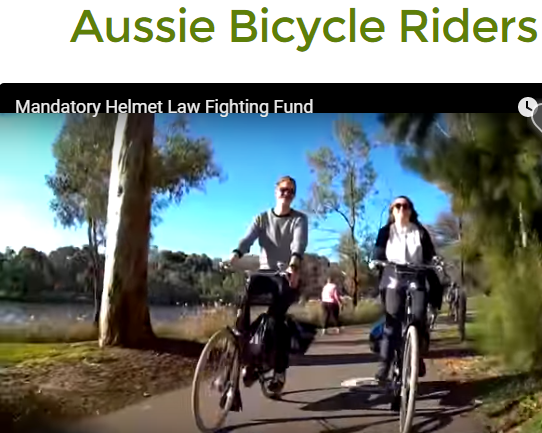 Seems like Australian bicycle advocates are gaining some momentum in their fight against their mandatory bicycle helmet law. I posted about a potential overturn of the law last summer in my post called Australian Mandatory Helmet Law Challenged. That decision has been deferred until June 2016. "Help us make bicycle riding normal in Australia again. Take a look and drop them a donation to keep their spirits up as they wait for that next big challenge to their unjust law.